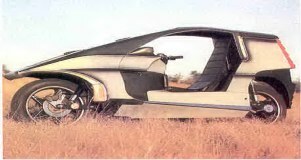 The Quasar was a semi-enclosed feet forward motorcycle, created by Malcolm Newell and Ken Leaman, who made a number of similar vehicles. 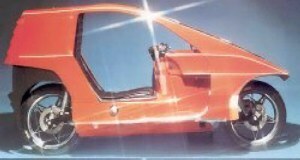 It used an 850 cc engine built by Reliant Motors and was capable of cruising at 90-100 mph (145-160 km/h) and exceeding 100 mph in favourable conditions. Quasar motorcycle history.